Hope y'all had a wonderful Easter! I have 5 totally random thoughts for your Monday . . .
1. I can't get this image out of my head. Isn't it gorgeous? I love the drapes, the mirror, the gray settee, and the pretty pink peonies. So lovely! 2. I was in Anthropologie the other night (can you say trouble?) and picked up this shirt. Yep, it's orange bicycles. Love it and it's much more fun that my other button-ups I wear to work. And in full disclosure, Justin picked this shirt out. Anthro always has things in random places and Justin saw this and pointed it out to me. He's a keeper. 3. As we were packing up our old house, I told Justin I wasn't going to bring any books to the apartment to decorate with because I knew we wouldn't have the same kind of storage/book shelves. He told me he thought I should at least bring a few of them because "books make a house a home." After laughing a little at him for making that comment, I told him I totally agreed and threw a few in a box. You may have seen a couple of them here on the campaign dresser. When we were at Anthro (see number 2), he found this book called "Books Make a Home"! He joked that he authored it under a different name. How funny is that? We had a good laugh in Anthro about that. I'm sure people wondered what was so funny about a book about books! 4. I didn't need a new dry shampoo, but I thought I would try one that was cheaper than my usual one to see how it would work. I grabbed the Tresemme dry shampoo for normal hair. I've only used it one time, but it definitely worked as I hoped. I recently got bangs and like putting just a little bit of dry shampoo on them in the morning (even right after I've washed my hair). The dry shampoo helps to keep them looking "fresher" throughout the day. 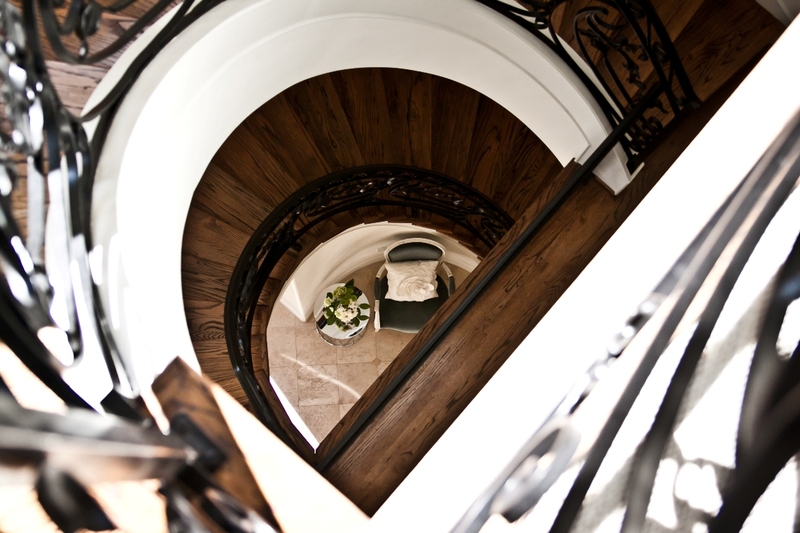 Such a fabulous shot of our old staircase, right? Well there will be more where that came from thanks to Carrie! Love Anthro! Great shirt (and I saw that book the last time I was in). The picture of your old staircase is awesome!! i havent tried tresemme's dry shampoo yet, but suave's is actually really good! i was surprised at how well it works with no residue at all. Justin is *definitely* a keeper! Just the fact that he will *go* to Anthro is amazing (c: And LOVE that pic, heading to check it out! You know I love Anthro. Can't get my husband in there for a million dollars! What a great idea, to have someone photograph your home. I wish we had more photos of our first home. ha! my hubs is always asking me to give him "credit" on the old blog - and you did for Justin, such a nice wife. 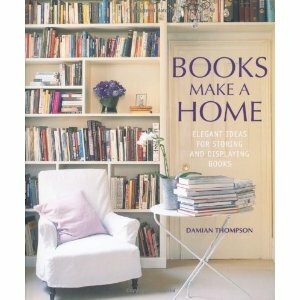 His comment about books making a home ocming to life in a book is hilarious. That stair way shot is GORGEOUS. I can't wait to see more of those photos. Your staircase looks amazing!! Can't wait to see more! Love the photo of the staircase. Great ideas. Ps can't wait to see your friend's photos!